This is the personal homepage of Silvana Podaras, software developer and more. I am a software developer from Vienna, Austria and currently employed at Bitbird GmbH. 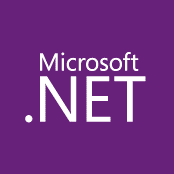 Primarily, I try to work in the backend and on our mobile apps, both build using C#, .Net, EF, Xamarin and MS Azure. But life's no picnic, so sometimes I end up doing front-end stuff involving ember.js, JS and npm. I am interested in VR/AR applications and I really enjoy working with Unity. I also worked on a project with Microsoft's Holo Lens, which was super exciting. I studied computer science at TU Wien and have a MSc in Visual Computing. I really like art and like to draw. Check out the Art section! My family is originally from Italy and Greece, but as life can be a strange chain of coincidences, I grew up in Vienna, Austria. I also spent a year in Copenhagen, Denmark, as exchange student in computer science at KU.